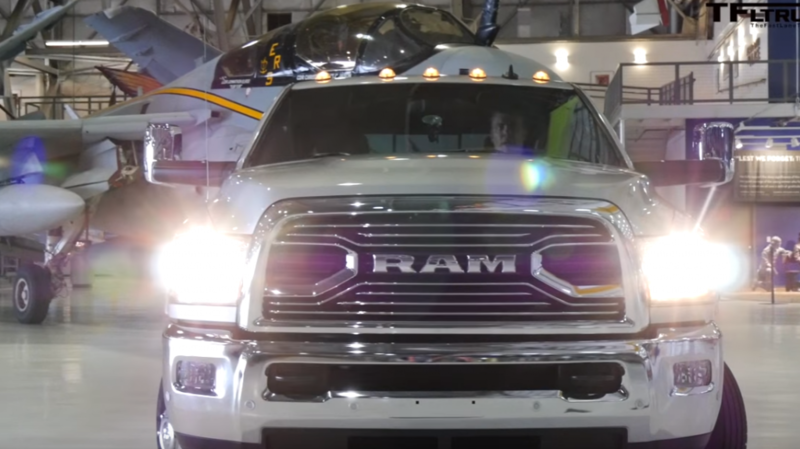 Can a 2016 Ram 3500 HD Tow a Navy Fighter Plane? What is the most you’ve towed? The folks at ‘The Fast Lane Truck’ now get bragging rights for towing a EA-6B Prowler Jet with their 2016 Ram 3500. In a new video uploaded to their YouTube page, the stars pay a visit to the Wings Over the Rockies Air & Space Museum. They decided to lend a hand in moving a Prowler Jet from its place on the museum floor and rather than simply use the tower at the site, they wanted to test out the towing on their truck, a 2016 Ram 3500 to be exact. It is a sight to behold. Not only will you get an informational look at the Prowler and what its history of service, but then you’ll get to be amazed as it gets pushed and pulled by a heavy duty Ram truck. It is the best kind of history lesson! Check out the video and remember this for the next time you need to purchase a truck to tow your private air force. If you are interested in learning more about a Ram truck contact us at Bayside Chrysler Jeep Dodge. View our new and used line-up on our website. Be sure to download our mobile app to keep track in real time of your vehicle when it is brought in to be serviced. Like us on Facebook, follow us on Twitter, and subscribe to us on YouTube to see more auto news and monthly specials.